A Brief History of Kapiti Playhouse - Kapiti Playhouse Inc.
Kapiti Playhouse began in 1948 when John and Marjorie Brooke-White decided to form a drama group which was known as The Community Playhouse. Performances were held at the Raumati Community Hall and Raumati South Memorial hall. The Playhouse had no rooms of their own so meetings and rehearsals were held in various members’ homes. In 1960 the society became registered as an incorporated society and became known as “Kapiti Players Inc”. From 1963 to 1975 Kapiti College was used regularly for performances. In 1970 mini productions were introduced. A mini production allowed the cast to rehearse for a much shorter period, and actors were allowed to retain their scripts during performances. The Methodist Church Hall in Kiwi Rd, Raumati, was the venue for these productions and proved to be very popular. In 1972 the Fletcher Building premises in Ruahine Street became available and the land was vested to the council as reserve land. 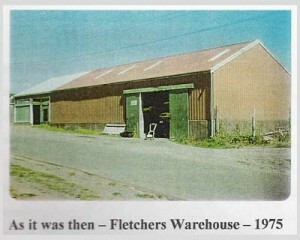 After lengthy negotiations with Fletcher developments and Hugh Fletcher a price was agreed and a loan taken out for the shortfall. This loan was paid in full by 1977. On Friday 30 May 1975 the Kapiti Players moved into the new premises. Two grants were received, one from the Recreation and Sports Body ( later the Hillary Commission, now a part of SPARC) and one from The Todd Foundation, which enabled the purchase of theatre equipment and seating. Kapiti Players had come of age. Further major renovations were made in 1985 and again in 1991. In 1996 the constitution was redrafted and the name of the society changed to Kapiti Playhouse Inc. In March 1998 the theatre celebrated their Golden Jubilee of fifty years.